To most people, the word Yoga is synonymous with the Asanas (Yogic postures) only. But since ancient times, Pranayama (yogic breathing exercises) has been practiced to control the body and the mind and make it steady and peaceful for achieving the pure consciousness stage (Samadhi). It was expounded by Patanjali, an ancient Hindu philosopher and yogi. Therefore, in all texts of yoga, Pranayama is highly spoken of and is called the gateway to meditation, as it strengthens the nervous system. There are so many techniques and varieties of Pranayama, through which body is purified and one can maintain good health. 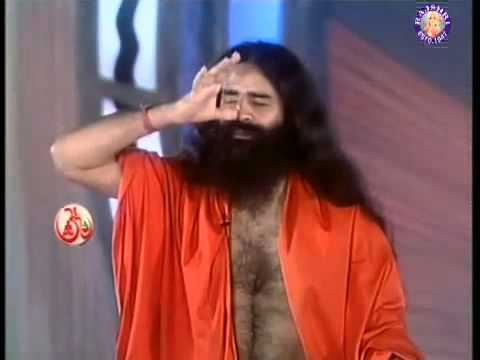 In recent times it has been popularized all over India by Swami Ramdev. People from all over India flock to attend the yoga and pranayam workshops conducted by him. It is also telecast on ‘Aastha TV’ and many people have learnt how to do pranayam just by watching TV. His recent yoga workshop in U.K was a huge success. Many have benefited by the regular practice of Pranayama. People suffering from stress, depression, asthma, obesity, hypertension, diabetes, arthritis, obstinate skin disorders, ageing are found to respond well to Pranayama. Even patients undergoing chemotherapy for cancer have been benefited by Pranayama. Swami Ramdev is of the opinion that while Yogic Asanas exercise the external organs of the body, Pranayama exercises the internal organs. Due to increased oxygen intake by the practice of Pranayama breathing exercises you can defy the ageing process and get a natural glow on your face which expensive creams or lotions are incapable of providing, he says. Technically speaking, Pranayama means controlling of breath. Inhalations and exhalations are the complementary phases of pranayama. Controlled inhalations are called ‘Puraka’ and exhalations ‘Rechaka’. Each round of pranayama consists of one puraka and one rechaka. Applying a break in the speed of inhalations and exhalations is the process of pranayama. We must practice pranayama as a daily routine to be steady and peaceful throughout the day. Hi, yes Pranayam is the last hope for many. Just now I read another blog http://cancerandpranayam.blogspot.com/ which mentions that yoga can't cure but can improve the quality of life. In that blog this statement has been established using neuro science and long term case studies. I can remember two of my friends died of cancer even after sincerely doing pranayama for more than 6 months. So I think, We must have some long term case studies to come to any conclusion. Most of the studies were done for max 1 year. So can you please put up some long term case studies. Excellent article. I’ve been aware of nasal breathing some time, but i’ve not been really comitted to do it. I’ve been doing pranayama for some time and I never really thought about it this deeply. pranayam has a very good effect and if you want to remove your pimples you should do pranayam atleast for 20 minutes a day . Depression is the result of a chemical imbalance in your brain. Exercise, proper diet and the right medication can help you manage it and lead a normal life but there is no cure yet. Prolonged periods of anxiety and tension can cause mental depression.An infusion of rose petals should be prepared by mixing 15 gm of rose petals in 250 ml of boiling water. If drunk occasionally, instead of the usual tea and coffee, it is beneficial for treating this condition. Yoga is perhaps the only form of activity which massages all the internal glands and organs of the body in a thorough manner, including those – such as the prostate - that hardly get externally stimulated during our entire lifetime.As a benefit, Yoga acts in a wholesome manner on the various body parts. This stimulation and massage of the organs in turn benefits us by keeping away disease and providing a forewarning at the first possible instance of a likely onset of disease or disorder.By gently stretching muscles and joints as well as massaging the various organs, yoga ensures the optimum blood supply to various parts of the body. This helps in the flushing out of toxins from every nook and cranny as well as providing nourishment up to the last point. This leads to benefits of yoga such as delayed aging, energy and a remarkable zest for life. yourself mentally and the stress, depression and anxiety will worsen. Don't practice Pranayama when tired. Ratio of inhalation and exhalation time - The duration of inhalation and exhalation need to be equal .Shavasana - Pranayama should always be followed by Shavasana for 5-10 minutes. It rejuvenates the body and the mind. Exercise for at least 30 minutes daily. Just 30 minutes a day is enough to restore and maintain your health as if you exercise more than this will only stress your heart and body. Once the physical activity level reduces the muscles start becoming weaker and weaker. Patients who practice yoga have a better chance of gaining the ability to control their breathing problems. With the help of yogic breathing exercises, it is possible to control an attack of severe shortness of breath without having to seek medical help. Various studies have confirmed the beneficial effects of yoga for patients with respiratory problems. Yoga “asanas,” or postures, benefit the body physically, mentally and spiritually. Besides keeping fit, yoga is being used to treat HIV/AIDS, depression, heart disease, cancer and anxiety disorders. Yoga, according to the published research, reduces oxidative stress by increasing antioxidants. Pranayama is one of the yogas.Yoga is the harmonisation of body ,mind and soul.By harmonising mind,ones stress level comes down appreciably.Also mind works more effectively.One can achieve higher goals in life with regular practice of pranayama.Life span also increases. If yoga excrcise helps in human been mental health and other body stimulants. Pranayama is an integral part of yogabhyasa. pranayama means 'giving new direction to the life force'. because it rejuvenates all the nadis (nerve centers) and breathing apparatus. It is good to do some asanas before taking up pranayama. But some rest (by doing shavasana) is essential before beginning pranayama. In the course of pranayama some mudras (posture of hands) are used. The sitting posture should be veerasana or padmasana. Do Pranayama for longer duration, Best practice is still do Bhastrika 5 minutes, 15-20 min Kapal bhati and then Anulom-vilom 15-20 minutes in that sequence. Keep breathing keep smiling and BE happy..
As long as there is breath in body, there is life! When breath departs, so too does life. Therefore, regulate the breath. For every need of life and for most of the diseases, there are definite and well laid down breathing exercises. By incorporating these breathing exercises into our daily routine, we can cure/ prevent almost all types of physical and mental diseases. Recently several studies have been conducted on a very large scale by medical doctors to confirm that the cure and prevention of many deadly diseases are simply hidden under the treasure of specific breathing techniques. Deep breathing energizes us and enables us to take the challenge of life by providing us the strong will which is needed to make a difference on how we live. Depression, negativity, and angry feelings are replaced by peaceful, calming positive thoughts. In simple words, deep breathing ( Pranayama) connects us to our inner healing self. We feel happy, blissful, content and disease-free as our body and mind feel at ease. It makes the life meaningful and social. It keeps the man balanced in all the conditions and situations. It helps in understanding the real nature of man and its relationships with the community. It manages psycho physical diseases. It put chain on the senses. It makes the body healthy. It helps in controlling the modalities of mind. # It gives opportunities to soul to flourish. # Intellectual development is accelerated. # Will power becomes strong through its practice. Pranayam arouses the internal energy of a person and makes him healthy, balanced and active. Is pranayama such a cureall to be able to control any health problem? Have short and shallow breaths. Take deep breaths to increase the body’s oxygen supply. Modern science has pointed out that stress is a major culprit in contracting diseases. Emotional and mental problems are equated to ‘system failure’ like in your computer. The body needs time to breathe, which is lacking when we are full of activities or pre-occupied and anxious. Breathing deeply helps the body get the right amount of oxygen it needs. Take yoga sessions to improve breathing or learn a self-taught meditation exercise. Talk to friends. Talking your worries out frees you from anxiety and mental or emotional stress. Be happy and laugh more regularly, as they say it is the best medicine! Practicing good posture allows your bones, ligaments, and muscles to align properly. This leads to better productivity and more energy. The fact that you can keep your mind clear itself is the benefit!. My friend who has been practising pranayam and nothing else and have reduced my weight substantially - doing nothing else but pranayam.. he says it increases his metabolism so much that he does not have to do any specific excercises for weightloss. Kapabhati 20-30 minutes twice a day. These are the most powerful pranayam. pranayam very easily explained and cleared doubts in mind this site has induced me to lead much better life. To turn the hair back from white or gray-drink wheatgrass daily. Also it’s important to give up sugar, white foods, poisons of all kinds (GMO foods, foods with pesticides, contaminated fish which is most, etc) and limit or give up animal foods, eat plenty of plants and at least 50% raw. Does practising of kapalbhati and alom vilom pranayama prevent facial hair in women. I am suffering from the problem of facial hair since I was born. I am 21 years old female, and want to get rid of my facial hair naturally without using any sort or waxing, threading, laser, electrolysis, etc. I have a lot of hair on my sideburns, chin, cheeks, forhead, neck, etc. Please respond quickly to my question, does pranayama help in this case??? If you do pranayama do daily your breathing is free from all obstacles means free flow into your heart and removing the blocks in human body. you wl get mental peace and confidence to face any type of problem and handling the issues smoothly and positive thinking will be developed. @Anonymous comment #54: I don't think any pranayamas (Kapalabhati or anulom vilom included)can get rid of unwanted hair. Regular pranayama practice teaches one to breath properly every minute of the day. When one breathes properly there is a relaxation response in the human organism. Mental and physical tension are released because with proper breathing a sense of tranquility will gradually envelop the mind/body connection. So, pranayama has profound positive effects on human beings making the cardiovascular, respiratory systems stronger, alleviating emotional tensions and stress, thereby enhancing dynamism, general well being and vitality. With these benefits it can be said that one can extend their lifespan through regular pranayama practice. The benefits of pranayama are many and Pranayama is best learned through a competent yoga teacher/therapist. pranayama means attaining higher states of awareness. Begin to practice pranayama by simply breathing deeply and evenly while concentrating on your breath for a few minutes at the beginning of each yoga session. It is important to free your mind from all your thoughts and think positive while exercising Pranayama poses. Positive thinking creates positive energy in your body. It's pranayama's ability to quiet the mind is that makes it useful during times of intense stress, emotional upset, anxiety or trauma. Anyone can benefit from practicing pranayama-anywhere, at any time. You don't need to wait for a crisis, believe in life force energy or take up yoga to experience its benefits. When will I see benefits of pranayama ? Blow all the air out of your lung all of it. Then take in a full breath as full as you can and hold for the count of four. Breath in 4 hold 4 out 4 hold 4. Do it slow concentrate on the counting with closed eyes. After you've established the rhythm you can add a vision of the perfect landscape around you. The ideal vacation spot as you breath deeply enjoy the feeling of being on vacation in the best place. At least it will occupy your time and hopefully give you a few minutes break from the stress. Proper breathing promotes relaxation and rejuvenation of the mind and body. It enhances clarity of the mind and provides an overall sense of well-being. In yoga, breathing exercises, or Pranayama, promote deep inhalations, which supply our body with much greater amounts of oxygen. Breathing exercises ( pranayama) in the yoga realm, help you attain health and longevity. Do not practice pranayama on a full stomach or if you have a hiatal hernia, ulcers or a heart condition. Regular practice of pranayama along with asana is helpful for all round development and improvement of the memory power. Can pranayam help to cure osteoarthritis? I believe it could. Osteoarthritis is considered inflammation of joints or tissues. Inflammation is considered caused by lack of oxygen, due to poor circulation, caused by injury or body chemistry. A natural therapy recommended is cold and hot water packs. here also the idea is to improve the blood circulation and availability of oxygen and it works. Hence Pranayama should work.too since Pranayam helps increase the concentration of oxygen in the blood, and improves circulation. .
Pranayam is good.It does not have any bad effect on body as like excessive yoga. Pranayama is the practice of regulating the breath and it works well to help balance thoughts and emotions. yoga is best form of exercise, it enable you lose weight fast. so keep doing yoga. Learning to focus on and appreciate the flow of energy and bring peaceful calm to the mind. Extremely wonderful entry, definitely useful information. Never considered I’d find the tips I need right here. I have been hunting everywhere in the internet for some time now and was starting to get discouraged. Luckily, I came onto your website and acquired exactly what I was browsing for. It helps in release of acute & chronic muscular tension around heart and digestive organs. Encourages nervous stimulus to cardiovascular system regulating circulation of blood, making it available for all tissues. Through practicing yoga, we can help build our nervous system strong and ensure that it lives in a state of equanimity. Slow and deep breathing is the nervous system's best friend. Rapid breathing increases the heartbeat and stimulates the nervous system, thrusting it into the sympathetic mode, the one which acts when stress hormones are released. On the other hand, lengthening and deepening each breath slows down the heartbeat and calms the nerves, inviting peace. Studies found that practicing yoga may elevate brain gamma-aminobutyric acid (GABA) levels, the brain's primary inhibitory neurotransmitter. Vajrasan - helps in digestion; relieves pain of calves and knees. Can be done immediately after meals. Deep breathing should be done as it helps to quiet down body and mind. Meditation for short period also benefits. Bhastrika; Is a most effective pranayam, has best result for increasing sexual stamina. But it should be done in the under of expert yoga guru only. Promotes proper diaphragmatic breathing, relaxes the mind and body, oxygenates the blood and purges the lungs of residual carbon dioxide. Regular practice is the key to success. Pranayama is a set of breathing techniques that enhance your energy and improve your relaxation, stress reduction.